I find myself being slowly drawn into more and more lettering. 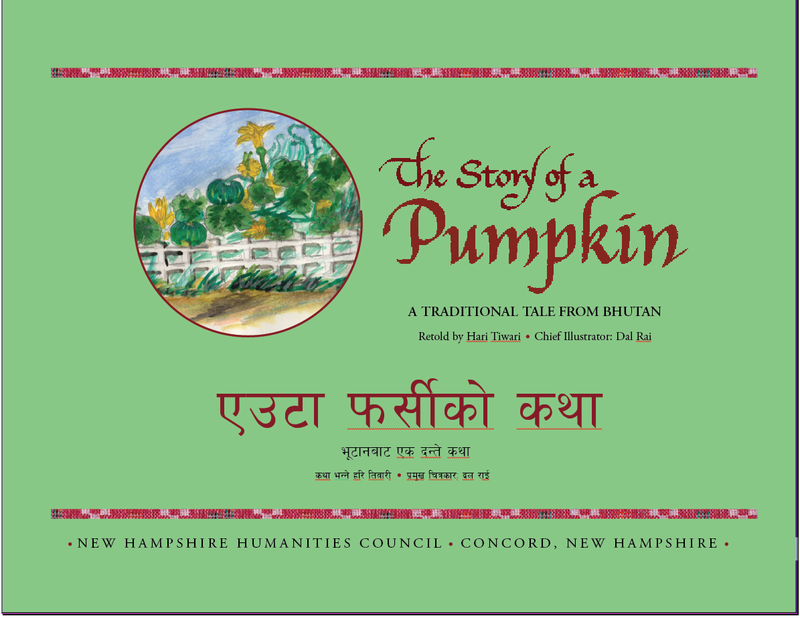 I have been a marker and brush pen gal for a long time with little patience and interest for ink and pen but I am working on the cover and title page for the Bhutanese-Nepali book and decided it needed a step above an edged marker. 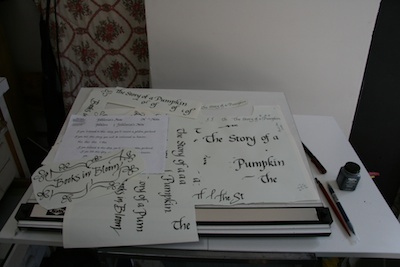 I started with the largest nib of my new Lamy cartridge pen but the letters needed to be bigger. I took out a bottle of Higgins Eternal Ink, purchased at the closing Bob Slate Stationers in Harvard Square last year as a memento more than a material, and my old pens and nibs. 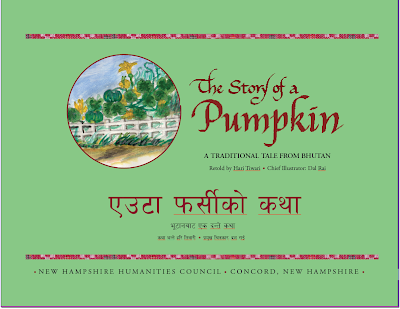 I used an old basic Speedball C-0 nib to write The Story of a Pumpkin. Here is the cover, as of now, of the book. 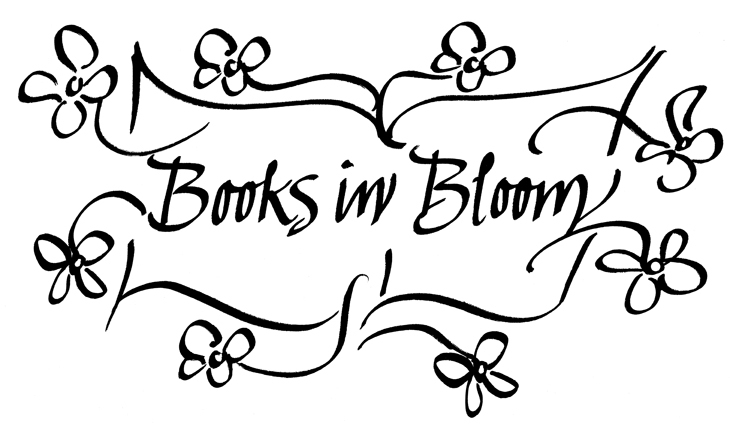 While I was at it, I thought I'd play around with a logo for the upcoming Books in Bloom at the Newburyport Public Library. I had been requested by the Newburyport Horticultural Society, one of the sponsoring organizations, to do something. Despite my vow to "just say no" to volunteer requests, I decided to allow a quick bit of play time and submit whatever came out with the stipulation that they could do whatever they wanted with it, or not. But once they had it in their hands (or inbox as it were), I was done. I used the 3.5 mm side of a Staedler Calligraph duo 3003 marker.